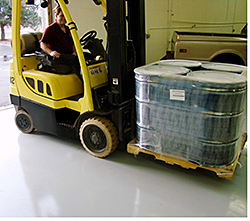 Eco-ITS coatings are bio-based urethane floor coverings made using a 95 percent plant-based BiOH polyol and are 50 percent soy plant-based. Available in clear or a variety of colors and in either gloss or satin finish. Contains 21 g/L VOCs (clear) and 23-46 g/L VOCs (color).